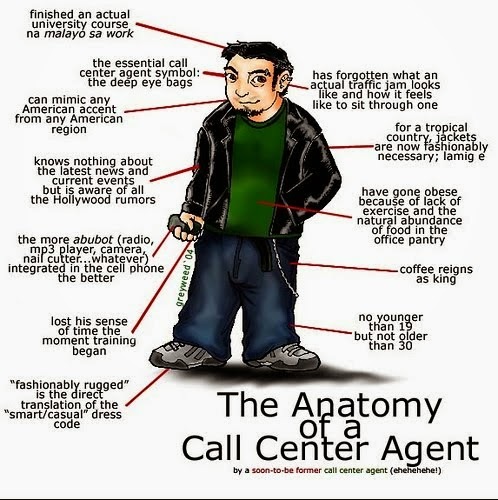 Have you seen this photo of the anatomy of a call center agent? We have seen this photo six years ago. The description is pretty much accurate however since he looks outdated the picture needs to have an upgrade. The number of in-house companies has grown since six years ago we are taking that into account and the guy above needs a makeover. 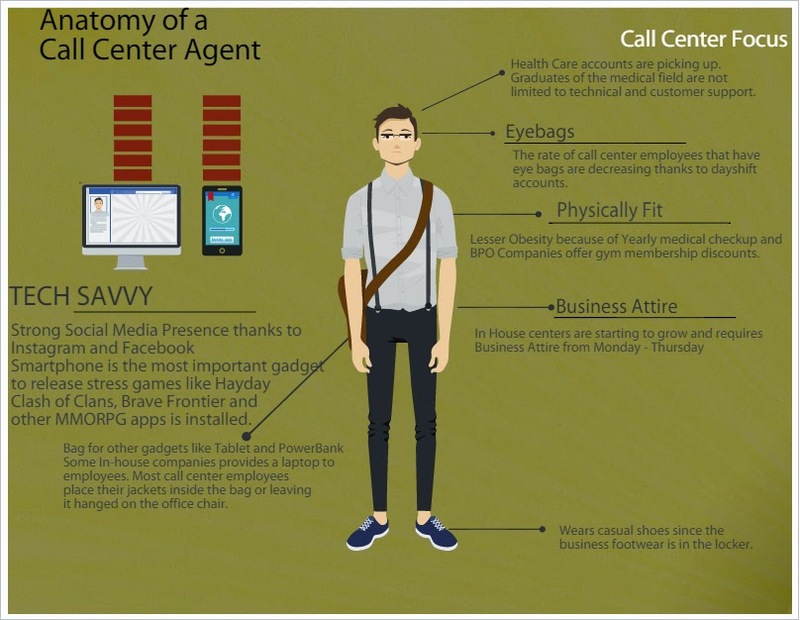 Now, we present to you the new anatomy of a call center agent. Here's some additional items of what's being updated. 1. Finished an actual course na medyo malayo sa course. In-house companies like Alere Philippines and United Health Group are still looking for health care professionals which means that graduates of health care jobs are not limited to Technical Support and Customer Care positions. 2.Aside from Hollywood rumors, we are also updated with current episodes of US series like The Walking Dead, Game of Thrones, Big Bang Theory, Gossip Girl and others. 3. Though coffee is still the beverage of choice call center employees are now health conscious this is the reason why we bring our choice of tea (usually green tea) and brew it in the office. Which do you prefer? We would like to hear from you, please head on to the comments section for your inputs.